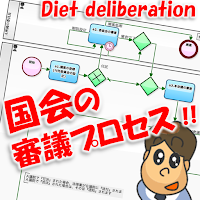 Workflow Sample: Draw a "Bill Deliberation Process" of the National Diet in a Business Flow Diagrams! Although it is obvious if you take a look, deliberation is performed by the "bicameral" (House of Representatives, the House of Councilors). And there are "committees" both in the House of Councillors and in the House of Representatives. 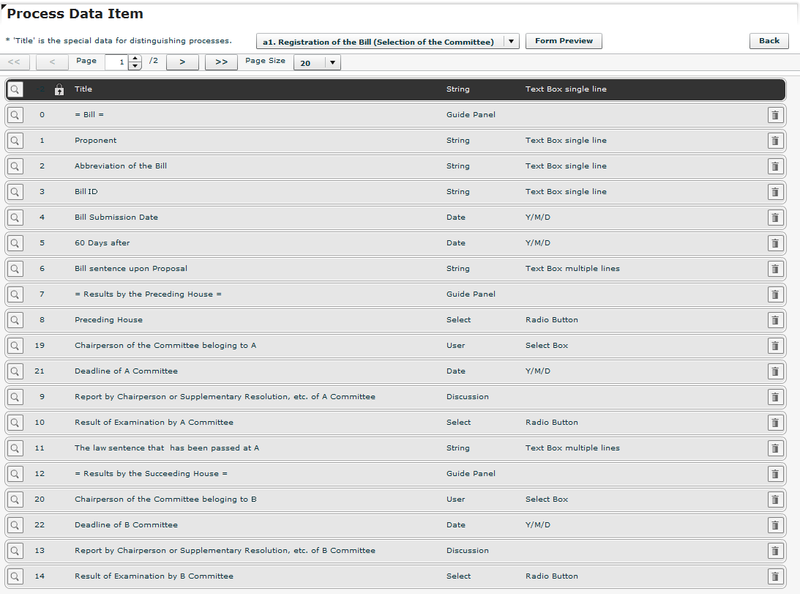 Bills of 100 or so will be committed to the respective committee. Based on the examination results of the committee in each House, it will be voted again in Plenary conference. 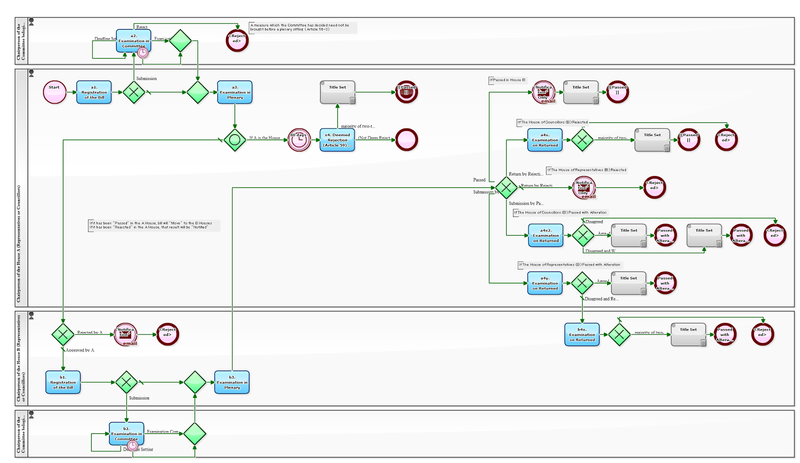 I think it to myself again that Business Process Diagram (Workflow Chart) is a must to "explain an institution. I remember that I read in the "Research on Business Modeling for Business Optimization", which says that there is an advantage of "It clarifies the Act which is complemented by ministerial ordinance" as its conclusion. 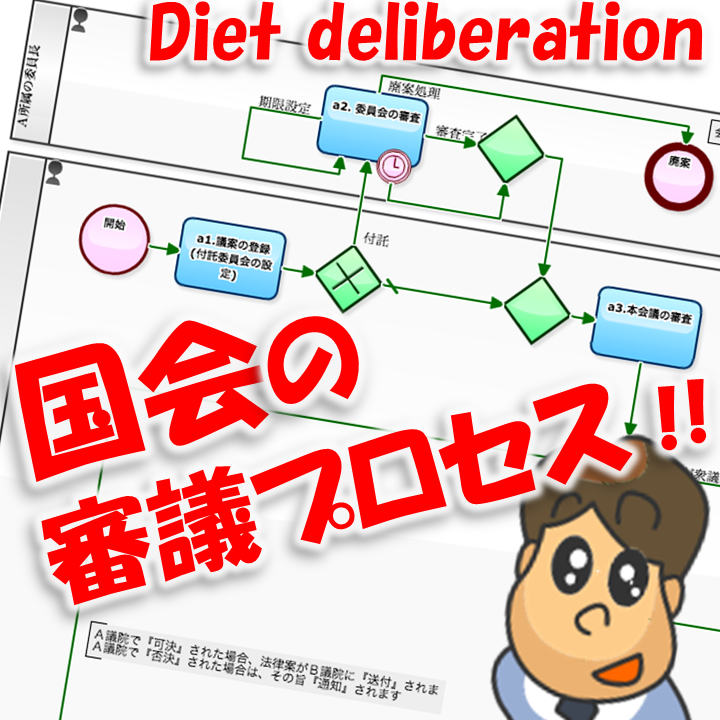 By the way, when they import this Business Process Diagram into "Cloud-based BPM system", they will be able to understand the progress of deliberation on all bill. 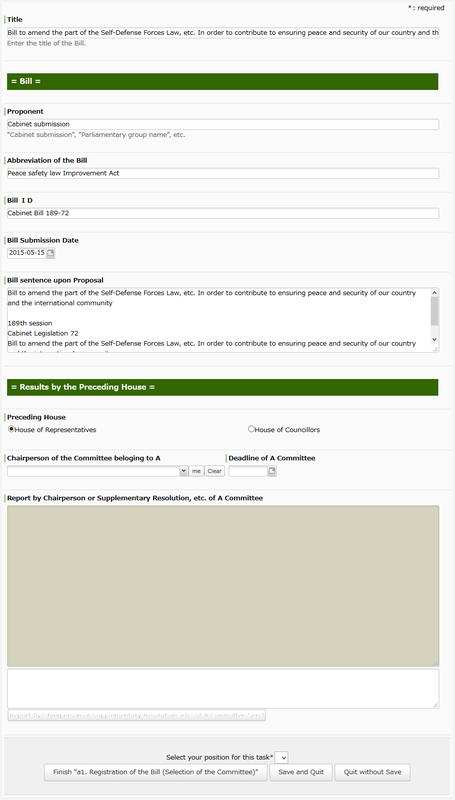 The required number of User licenses to be registered for the time being, it will be enough for "the Chairperson" and "the Chairperson of each committee". That will be about eighty seats together with the House of Representatives and the House of Councillors. It is only 800 USD per month if it is in Questetra.